Thank's for stopping by Don's Heating, Plumbing and Electric. As one of northwest Ohio's premium service companies we have grown to be one of the most trusted dealers in the area. Of most importance is our philosophy that we exists to provide service and comfort for you, our customer. We believe that to be successful we must look after your best interests. This principle is paramount to every member of our firm and has benefited our customers and our company enabling us to grow over the years. 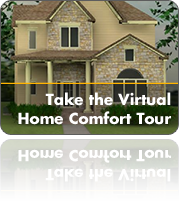 We install comfort systems for residential applications and provide fullservice for every installation. 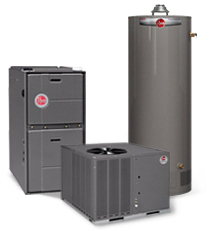 Our focus is on demand service, scheduled service and replacement of both residential and commercial heating and air conditioning equipment. We can be depended upon to provide you with the expertise you need for a professional installation. Residential & Light Commercial, New Construction/Remodeling. Energy Saving - High Efficiency Heat Pump systems! Eight to Eight at standard rate! Ohio counties Allen, Auglaize, Darke, Mercer, Shelby, Van Wert, Ohio cities Celina, Coldwater, Delphos, Ft Laramie, Greenville, Lima, Minster, New Bremen, New Knoxville, Sidney, Spencerville, St Henry, St Marys, Van Wert, Versailles, Wapakoneta, and Surrounding Areas.